Macanudo. Davidoff. Joya de Nicaragua. Three famous cigar brands with one big thing in common—each is celebrating a 50th anniversary in 2018. Each anniversary has quite a different origin. 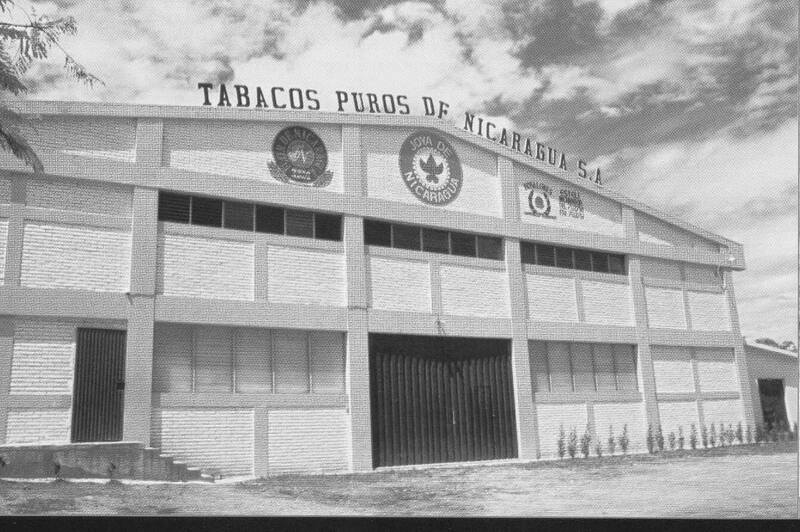 Joya de Nicaragua was founded in Estelí, Nicaragua, in 1968 and is Nicaragua’s oldest brand. (Padróns, created in 1964, were originally made in Miami.) At one point, Joya de Nicaragua’s were smoked in the White House, becoming the official smoke of U.S. dignitaries. But Joya de Nicaragua fell on troubled times roughly a decade after its founding. The factory, owned in part by Nicaraguan dictator Anastasio Somoza, became a target when the nation became engulfed in war and was bombed by the National Guard and rendered a smoldering wreck in 1979. In 1985, President Ronald Reagan imposed an embargo on Nicaraguan goods, cutting off the brand’s largest market. The factory was rebuilt, this time using brick, and the embargo was dropped in 1990. But Joya was a shadow of its former self. In 1994, Alejandro Martinez-Cuenca acquired the factory and the brand, which was small. “There were two or three people making cigars” there at the time, Martinez Cuenca once told Cigar Aficionado. Martinez-Cuenca looked for workers who knew Joya from the past, re-envisioned the brand by adding the powerful Antaño line, and built Joya back. In 2017 the Joya Black Nocturno scored 91 points and was named one of Cigar Aficionado’s Top 25 cigars. For Joya’s golden anniversary, the company is putting a new emphasis on one of its oldest cigar lines, the Clásico. According to Juan Martinez, executive president of Joya de Nicaragua, the Clásico packaging and artwork was redesigned late last year in anticipation of the celebration. 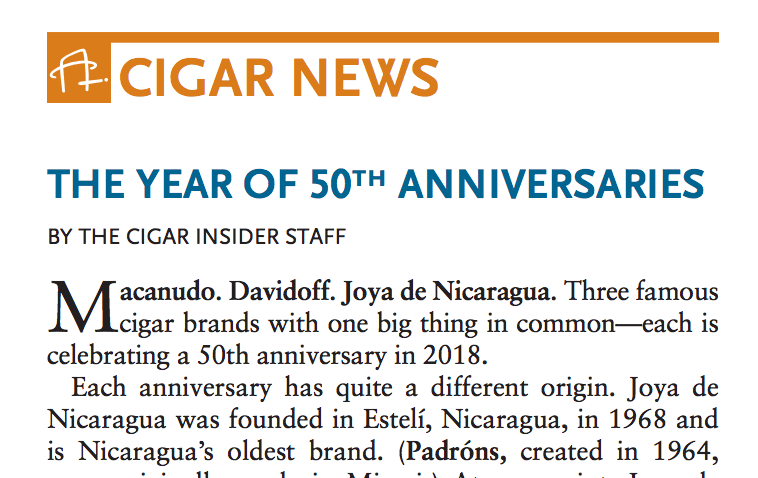 While the Clásico is currently the company’s best-selling cigar in the European market, it’s rather obscure in the United States, so Joya has big plans for a 50th-anniversary push. Martinez also hinted that there may be more “50th Anniversary” surprise releases as 2018 progresses.